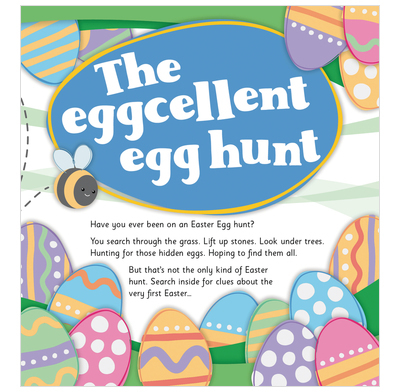 Based on the empty tomb in Matthew 28 v 6, this full-colour leaflet for 6-12s investigates the biblical account of the first Easter. There are also some downloadable sheets of eggs on the left-hand side of this page - some to colour-in and some to cut out and hide. We hope you have an eggcellent time!